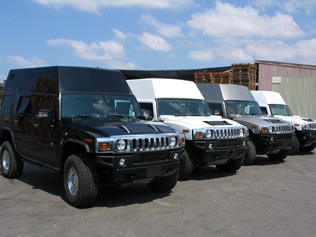 SESP offers two versions of its "ready-to-drive" JAMX military convoy protection jamming system: one is delivered, fully installed, in a Hummer H2 and one in a military shelter. 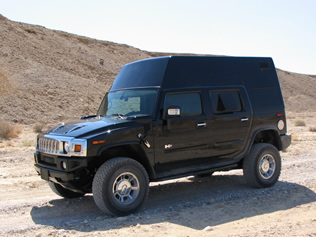 Although it looks like a normal Hummer traveling in the convoy, JAMX has been specially customized to accommodate a broad-band bomb jamming system which simultaneously covers the relevant bands of radio frequencies from 20MHz to 3000MHz. A set of high-gain omni-directional antennas – covertly located in a fiberglass roof extension – transmit the jamming signal up to a combined total output power of 1585 watts. 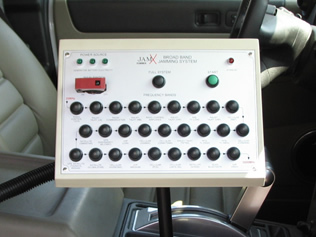 The driver/operator may choose to jam or open each particular frequency band, as required. This fourth-generation, turn-key solution contains its own independent 10,000-watt AC generator and an integrated "smart active" cooling system. Constructed in a completely covert manner with jamming units, all antennas, plus generator and battery back-up system hidden from view, JAMX is camouflaged to appear as a standard troop carrier. JAMX is designed to ensure continuous effective jamming protection while in transit. 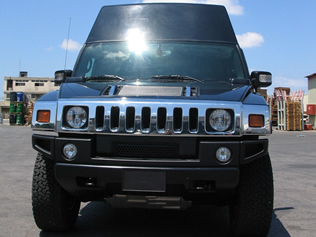 The jamming system will operate continuously in all weather and road conditions. 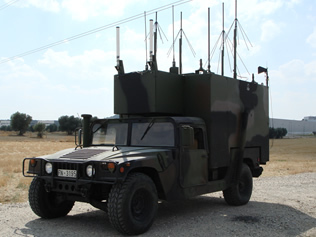 JAMX is simply the best way to defend military convoys and troops from the threat of radio-activated, road-side bombs. 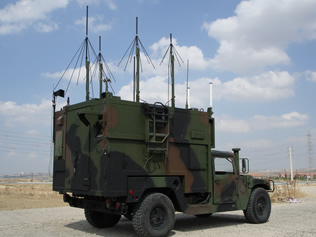 The JAMX system for Military Shelters covers continuously and simultaneously the full spectrum of RF communication frequencies from 20MHz to 3000MHz (33 separate frequency bands). The driver/operator may choose to leave certain communication links "open" when required. 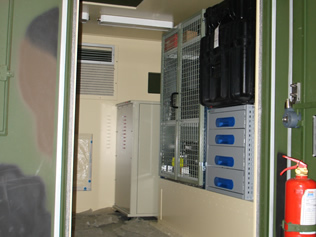 The entire system is covertly installed inside an ambulance-type standard military shelter (M997). Careful design ensures that no parts of the system are left exposed, including all antennas, which are completely enclosed within the shelter. 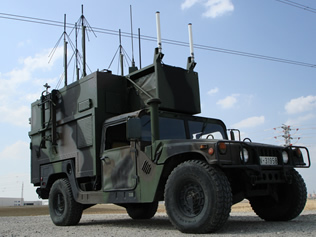 This is a fully-independent jamming system, which can be installed on the standard HUMVEE military vehicle platform. The system is designed to enable rapid transfer/installation from one vehicle to another. Shockproof and weatherproof, the JAMX system for Military Shelters works continuously while in transit in all weather and terrain conditions. JAMX is manufactured, assembled and installed to the highest standards of electronic and mechanical engineering to meet with Mil Spec standards.